The Court for Sports Families. Bring the sports mentality to your home and create more quality family time. A Sport CourtTM game court helps those families trying to fit a volleyball game, basketball game or gym visit into their busy schedules. We’re ready when your family is. 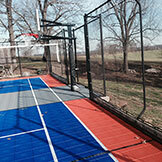 Let us bring the sport to you with a backyard court or home gym. Build Memories, Become the Hangout Spot. Build a place that makes your family want to hop off the couch. Build a place where your family can train, play and bond. Know what your kids are up to, where they are and get to know their friends. Maximum versatility will take your athlete to the next level, whether that comes from a dedicated basketball court or a multi-sport court. 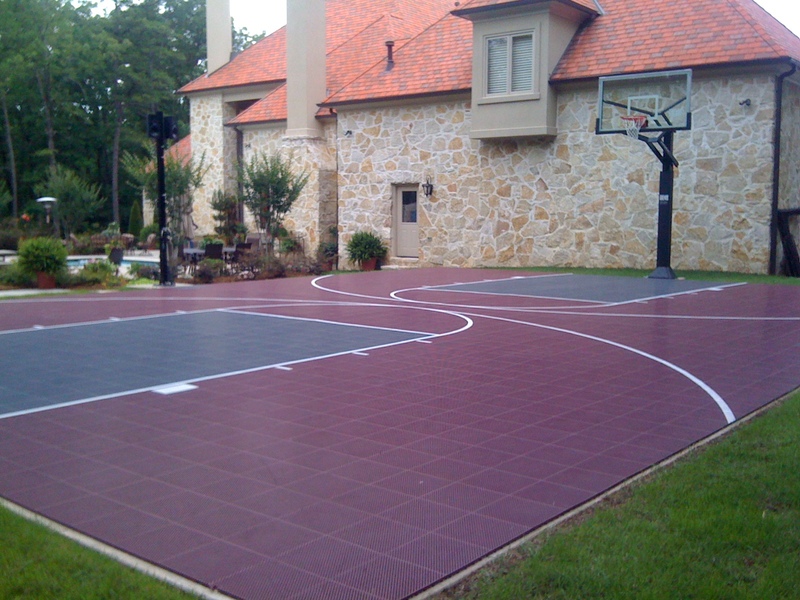 Need a court to fit specific family and budget needs? Leave it to us. We’ll find the right surface for you, just tell us what sports you play. 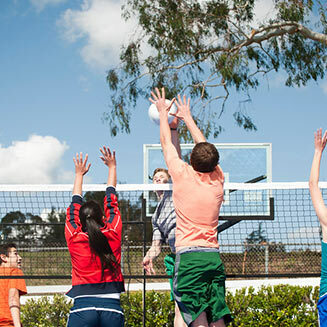 Ditch the landscaping and enjoy playing on our low-maintenance courts. Watch as the kids grow at your house and on the court. 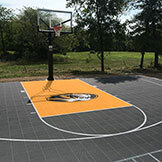 At Sport CourtTM of the Ozarks, we provide an extensive range of features, designed to make your court unique. We know that not every family is just like the other. 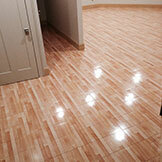 Indoor and outdoor athletic flooring. Sports components come as adjustable basketball hoops, variable-height net systems, volleyball and tennis nets, sports equipment packages and rebounders. Talk about the full package. Light poles with incandescent light bulbs and LED make for more fun in the dark. Ball containment is ensured with wall padding and fencing. Complement your court with batting cages, golf nets, trampolines and climbing walls. Play on the Surface of the Pros. 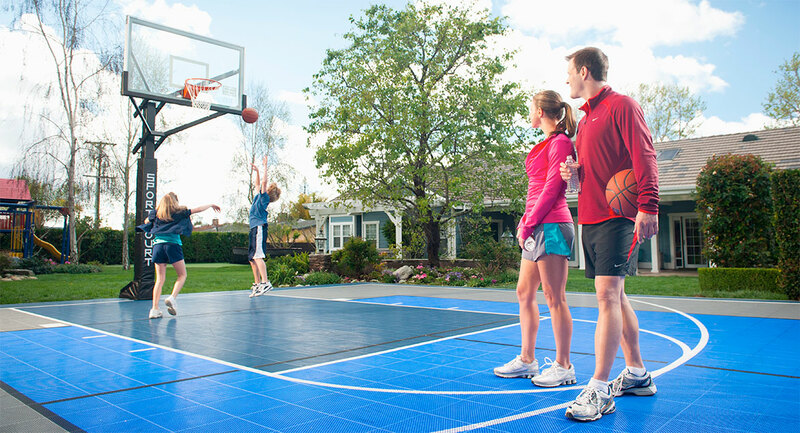 Your family can enjoy the high performance and protection of an NCAA® Volleyball court, USTA® tennis court, and FIBA® basketball court. We quality check every piece of equipment we produce here at Sport CourtTM of the Ozarks. You won’t find a surface capable of delivering a better combination of shock absorption, ball response, traction and playability. Made with high-quality materials for improved durability. Need a specific fit? Have a budget to meet? We can help. Our multi-sport surfaces provide families with maximum versatility. How much room do I need to fit a Sport CourtTM game court in my yard? We recommend planning on 4–6 weeks from the first time you meet with your CourtBuilder; until the day the court is ready to play on. We hope you will! 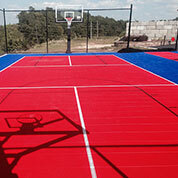 Sport Court game courts offer plenty of color options that yield countless combinations. Check out our CourtBuilder app to start designing your court now. Yes! 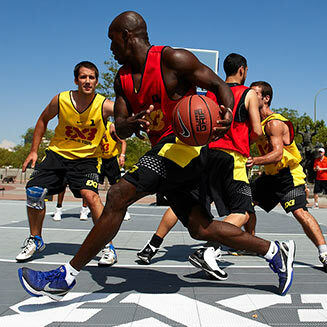 Our process is all about creating your very own personalized, custom court. You can browse our gallery to get some ideas; then on our visit we’ll help you finalize them. Some of our courts were installed over 30 years ago and are still in play. While any damage is unlikely because our sport flooring is made of durable polypropylene, it’s very easy to swap out any tiles that need to be replaced, and every court is backed by our manufacturer's 15-year warranty. 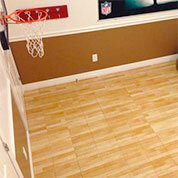 What does it cost to build a Sport CourtTM game court? We’ve built small shooting courts for as little as $10,000, but courts range in price based on size, materials, accessories, and configuration. That’s why we meet with you to identify your family’s needs before providing an exact quote. We work within your budget to help you get the most for you money. How do I maintain my Sport CourtTM home gym flooring? This couldn’t be easier! For home gym owners, all you need is regular dust-mopping and the occasional deep clean from a wet mop. 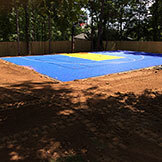 How do I maintain my Sport CourtTM outdoor game court? This is simple and easy. A broom, blower, or hose can be used to keep the top surface free of debris. Water will drain quickly through the open grate, making sure your court is ready for play soon after cleaning or inclement weather. How long has Sport CourtTM South been in business? 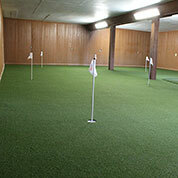 We have been building quality game courts and backyard recreational facilities since the 1980’s. In fact, Sport Court invented the backyard game court. No other company has been around longer or built as many courts, so you can be assured we will be here to service you for years to come. 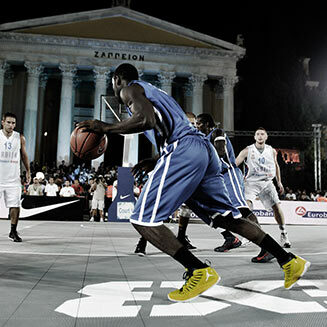 Why is the Sport CourtTM outdoor surface important? Can’t I just play on painted concrete? This is about the safety of your children, and no other outdoor sports surface can deliver a better combination of shock absorption, ball response, traction, and playability than our PowerGame™ outdoor modular flooring. With the combination of a PowerGame surface atop our patented SportBase™, heads are protected from injury from falls of up to 46 inches. 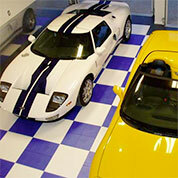 Our other sport flooring options offer comparable safety benefits. Why do I need a visit from a local CourtBuilderTM? 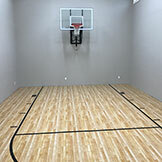 Every court we build is customized to meet your needs and fit the space where it will be built. When you’re ready for a visit from your CourtBuilder, we’ll talk with you about your goals for the court and survey the site where it will be built. We’ll then be able to offer you an accurate quote on the court of your dreams.